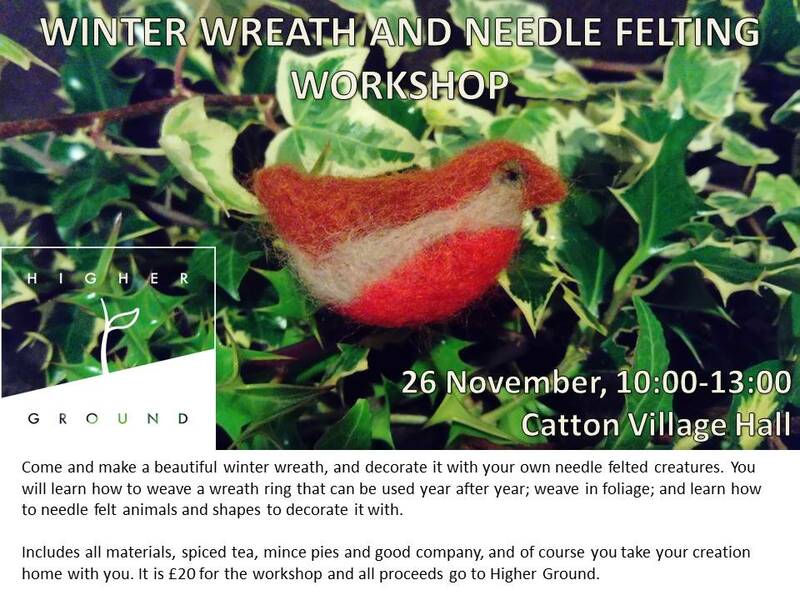 Come and make a beautiful winter wreath, and decorate it with your own needle felted creatures. You will learn how to weave a wreath ring that can be used year after year; weave in foliage; and learn how to needle felt animals and shapes to decorate it with. Includes spiced tea, mince pies and good company, and of course you take your creation home. 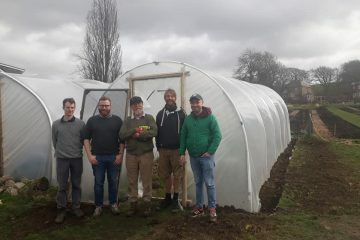 £20 for the workshop; all materials provided and all proceeds go to Higher Ground Allendale.